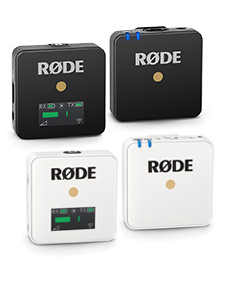 In its largest-ever simultaneous product release RØDE has announced six new products today at the IBC show in Amsterdam, including two new microphones, a pair of carbon fibre boompoles, an XLR interface for Apple iOS® devices and an XLR adaptor for the company’s popular RØDELink 2.4GHz digital wireless system. RØDE’s VideoMic family is the world’s favourite on-camera microphone, and the company is proud to announce two new models in the range – the VideoMicro, and the VideoMic Me. Measuring only 80mm long, the VideoMicro is a small, lightweight on-camera microphone designed for use on compact cameras. A directional microphone, it reduces distracting peripheral sounds and focuses on the audio in front of the camera. Its pickup is more forgiving than RØDE’s other on-camera microphones providing a more natural sound when recording indoors. Perfect for capturing incredible audio to accompany inspiring vision. Included with the VideoMicro is a camera shoe mount with Rycote Lyre shock mount. Featuring a suspension structure composed of a hard-wearing thermoplastic, the Lyre is far more effective at minimising unwanted vibrations, handling and cable-borne noise than traditional elastic suspensions. Virtually indestructible, it will never sag, snap, wear out or require rethreading to maintain its effectiveness. The VideoMic Me is a high-quality directional microphone designed for Apple iPhone® and iPad®. Featuring a TRRS connector and adjustable mount it is compatible with a range of Apple devices and can even accommodate some cases. It features a headphone jack conveniently located at the rear, to allow for monitoring and playback without removing the microphone. Both microphones include a deluxe furry windshield and feature bodies made from aluminum, giving them a high level of RF rejection. 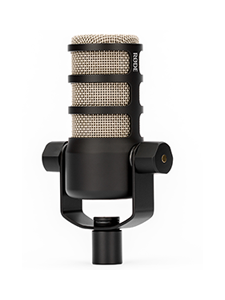 The microphones are finished in RØDE’s high-grade ceramic anti-glare black coating. Continuing its innovation in the mobile audio space, RØDE has announced the i-XLR, a digital XLR interface for Apple iOS devices. Used to connect professional XLR microphones to an iPhone or iPad to record audio in the field, the i-XLR allows reporters, correspondents and audio professionals to quickly and easily capture professional interview dialogue to a smartphone or tablet. An intuitive record button provides the user with operation without accessing the mobile device, and an LED indicates the recording status (in supporting apps). A headphone jack with variable level is conveniently located on the body to allow the operator to monitor their audio during interviews, and for dynamic microphones the i-XLR features a +20dB level boost, giving these microphones a high level of clean gain. 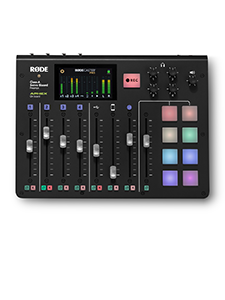 To accompany the i-XLR RØDE has previewed an updated version of its RØDE Rec app that supports remote record functionality for the new interface device, as well as an innovative set of EQ presets for industry-standard interview microphones, that optimise the audio for consistency across recordings, as well as an optional 'safety track' that can be set at a lower level. The revolutionary RØDELink digital wireless system has been making waves since its release earlier this year. Currently available as the 'Filmmaker Kit', including a camera mounted receiver (RX-CAM), beltpack transmitter (TX-BELT) and broadcast-grade lavalier microphone, its 2.4GHz digital communication technology allows for robust, secure transmission of audio at ranges up to 100m. RØDE is excited to announce that it is expanding the RØDELink range, with the launch of the 'Newsshooter Kit', which includes a camera-mounted transmitter and the new XLR transmitter (TX-XLR). It easily connects to handheld presentation microphones as well as shotgun microphones, with a 3.5mm input and headphone output. Providing one-touch sync with RØDELink receivers and supplying P48 phantom power, the unit can be powered by 2 x AA, a Sony NP-F970 battery or continuously via Micro USB. RØDE also plans to make each of the RØDELink devices available separately, so customers can mix and match to suit their needs. Closing out the product announcements, RØDE has introduced two new professional carbon fibre boompoles, complementing the company’s popular range of aluminium poles. Weighing only 535gm (18oz), the new RØDE Boompole Pro extends to a full 3m (10’) and collapses to 810mm (2’8”). Each of the five pole sections is comprised completely from carbon fibre making it incredibly lightweight while maintaining high levels of strength. The sections are easily extendable with one hand thanks to an intuitive twist-lock mechanic. Designed for use with professional shotgun microphones such as the RØDE NTG3 as well as the Blimp windshield system, the Boompole Pro joins RØDE’s popular boom pole range which now consists of five models ranging in size, weight, and construction material. Alongside this RØDE has also announced the Micro Boompole Pro, a very thin version of the full-size carbon fibre model, optimised for use with the new VideoMicro microphone. Using a unique modular design, the Micro Boompole Pro’s three sections combine to a maximum length of 2.2m (7’2”). Using an industry standard 3/8” thread, these sections can also be used to extend the Boompole Pro. 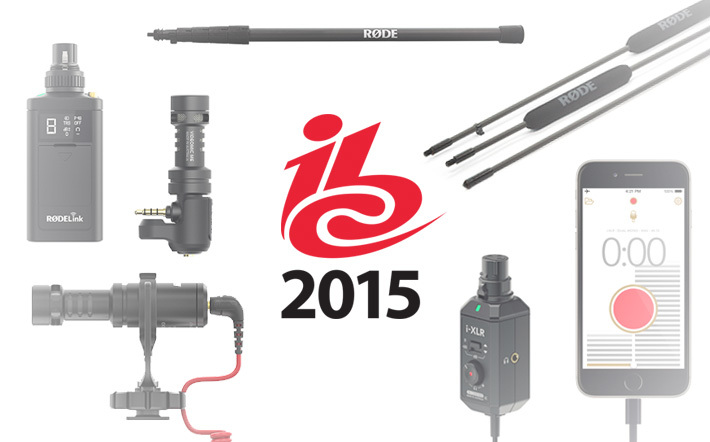 The VideoMicro, Boompole Pro and Micro Boompole Pro are shipping now, and the VideoMic Me, i-XLR and RØDELink Newsshooter Kit will be available Q4 2015. Il nuovo VideoMic porta l’audio in movimento sulle videocamere! Il nuovo NT1 riporta al futuro la registrazione! Vinci un’indimenticabile esperienza cinematografica a Hollywood – RØDE Rockumentary! Vinci uno Stereo VideoMic Pro – ce ne sono otto in palio! RØDE Annuncia il Concorso Mondiale per Band – RØDE ROCKS! Va in onda RØDE TV! La RØDE University Arriva su iPhone, iPad e iPod touch!